Although containers, and in particular, Kubernetes have grown in popularity, there are still a number of individuals and companies who may be on the fence about its adoption. Considering the technology is relatively new, questions concerning the “hype” that surrounds Kubernetes and its tangible benefits are frequent. So we’re going to break down some of the best features and benefits delivered by Kubernetes, focusing on open source, portability, scalability, and upgrades and updates. As mentioned in our previous blog (LINK), Kubernetes, although it may have started out as a Google project, eventually became a part of the Cloud Native Computing Foundation, making it an open source technology. One of the benefits of working with open source resources is that there is no need to worry about vendor lock-in. Kubernetes can function with most any other resources and tools. Additionally, open source means that there is a plethora of support available for you during your journey with Kubernetes. This support comes in the form of documentation, and the input of the hundreds of other developers contributing to the Kubernetes project. Another benefit of Kubernetes is that it addresses the issue of different environments which, during the testing and deployment of software, can be complex. These transitions are also rarely smooth considering that the infrastructures behind each environment are never the same. These difficulties ultimately raise the risk of certain elements breaking or not functioning as desired. However, with Kubernetes these problems can be dealt with as it bundles all of the platforms within your dev environment providing much-needed reliability and consistency. This bundling eliminates the majority of the stress surrounding infrastructure lock-in and the risks of moving software from one environment to another. Kubernetes also takes on the difficulties associated with multi-cloud strategies. As the security of the cloud is a concern at the forefront for most users, there has been a growing shift towards multi-cloud. Kubernetes essentially acts as an all-in-one start-up package, delivering all of the elements required for the full and successful deployment of an application. Therefore, with the settings and code already in place, achieving a multi-cloud strategy is much simpler and faster. With the help of Kubernetes, it is also possible for users to scale quicker than in the past, not to mention that they can also be deployed almost anywhere, including on vms and bare-metal. A key benefit of deploying Kubernetes is that it solves the labour intensive issue surrounding upgrades and updates. With Kubernetes, you are able to skip over the legacy headache of starting back at the beginning for each and every upgrade, making the implementation of any applications and their required updates significantly simpler. 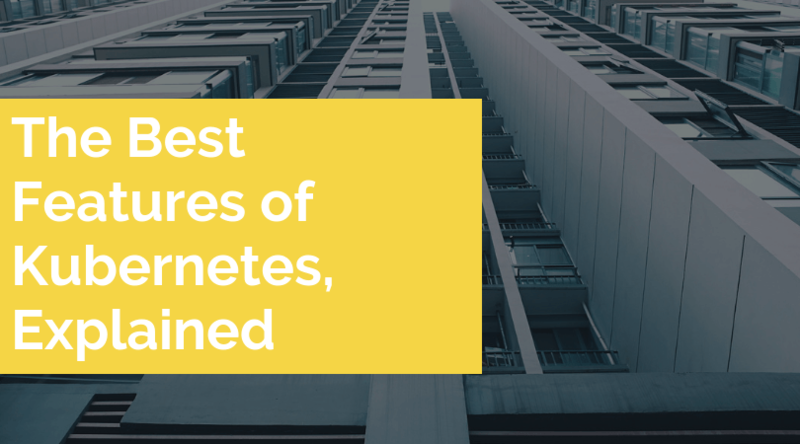 The growing popularity and “hype” surrounding Kubernetes is well deserved as it is being credited as the way of future within the cloud infrastructure industry. Not only that but Kubernetes has either effectively solved or significantly eased some major challenges that are experienced regularly by cloud users. Be it the difficulties of deploying to different dev environments, the issues surrounding adopting a multi-cloud strategy, or the challenges of performing updates efficiently. Additionally, with Kubernetes being an open source technology, there are very few roadblocks to be experienced as you have access to a whole community that is actively contributing to its development and improvement.